Some meals are just beautiful and come together like a production. That was last night’s supper. A simple, beautiful masterpiece. I love to take pictures of the steps of making a meal, but I typically only show a couple of them. This one on the the other hand, I got caught up with and swept away. We had Lemon Chicken, Broccolini (a first for us) and Cacio e Pepe (in other words…parmesan and pepper noodles). It was amazing and so easy and quick (under 45 minutes, would have been faster if I wasn’t taking pics!) to make it should have been a sin to make it. I hope you enjoy the photos and they make you hungry! To make the chicken I decided to try something new and infuse the oil before cooking. It was a great decision! Add a couple tablespoons of olive oil to the pan and heat to medium, then add a few slices of lemon and let them cook for several minutes. Watch the heat and don’t let them burn! It made a big impact on the flavor, which was a subtle lemon flavor and it smelled so good! While the oil is being infused, pat your chicken dry with a paper towel. It will brown so much better if you do! Sprinkle it with sea salt, garlic powder, pepper and thyme. Next add your chicken to your pan to brown and top with the chicken with the lemon slices that were in the oil. Brown on both sides, moving the lemon slices to the top of the chicken. Don’t forget to season both sides of the chicken! Beautiful browned chicken, what could be yummier! 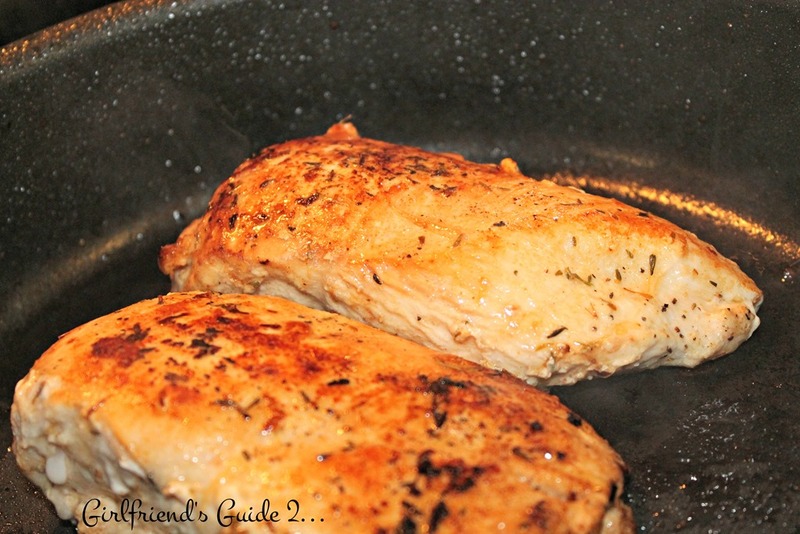 Once chicken is browned on both sides, move to a pan in the oven to finish cooking. Cook until it reaches 165 degrees and the juices run clear. Top with the lemon slices. You can squeeze some lemon juice on top! Next the broccolini! If you’ve never had it, you should. 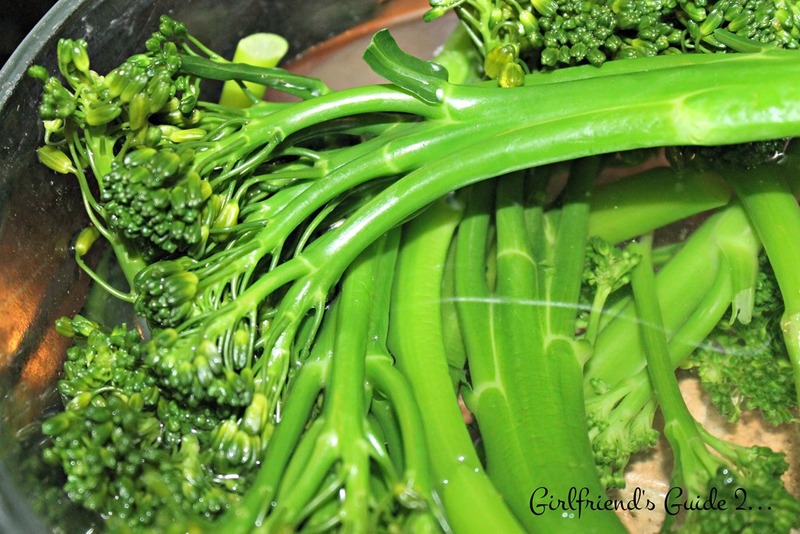 The tops taste like regular broccoli but the stalks remind me of roasted green beans. Yum! 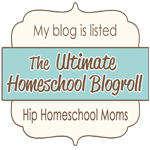 I followed Hailey Duff’s recipe from her cookbook “The Real Girl’s Kitchen”, so you can get the full recipe with measurements there. The first thing you have to do is rinse it then blanch it in boiling water. 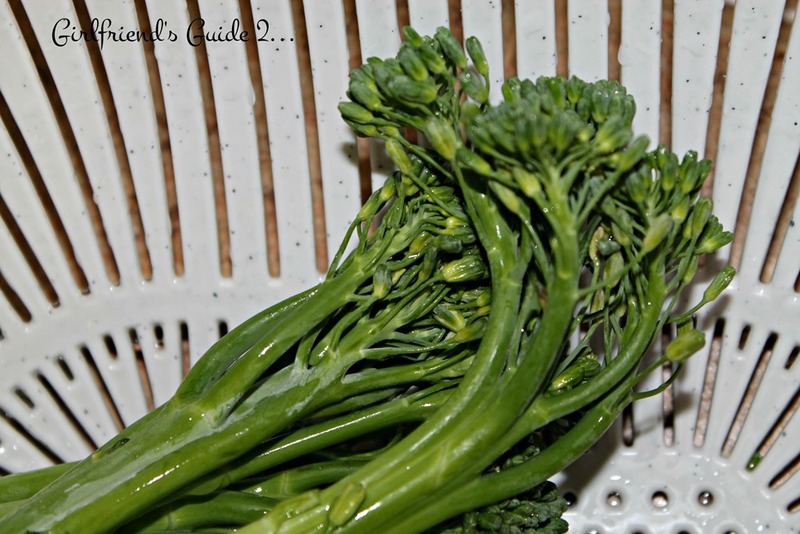 This is what broccolini looks like, just in case you were like me and had never seen it before. Don’t forget to plunge it in an ice bath after you blanch it! See how vibrant the color is? Next you have to get your spices warmed up and flavor the oil. Today was all about infusion! 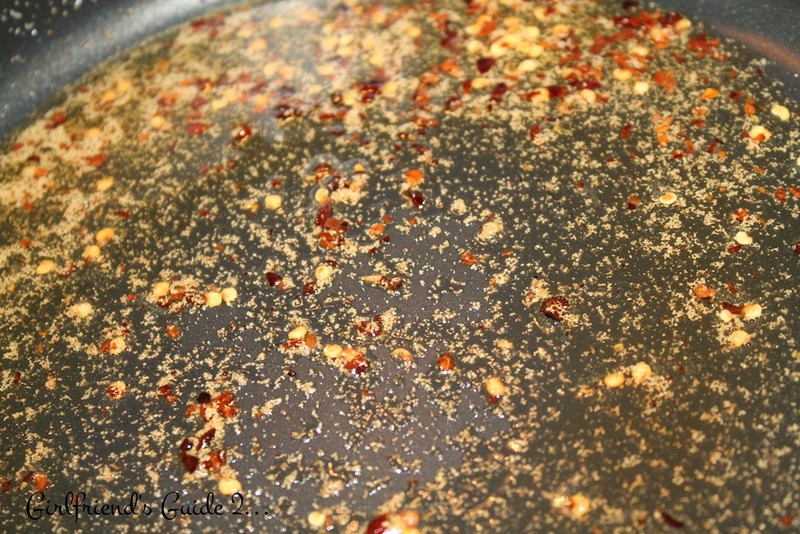 A couple tablespoons of olive oil, red pepper flakes (be careful they pack a punch! ), and some garlic. Let it cook till on medium until it gets fragrant. 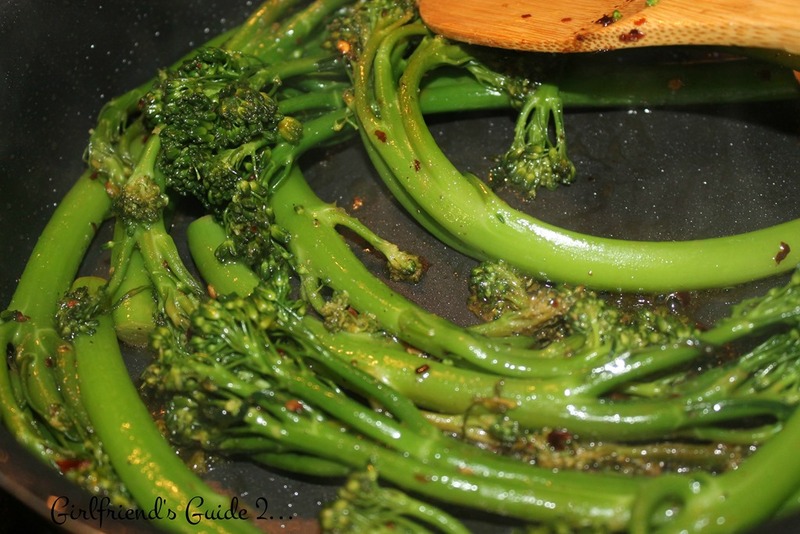 Add the broccolini and toss to coat with the oil and spices. Sauté for a few minutes. Remove and top with fresh grated parmesan cheese. Isn’t it yummy looking? Tasted wonderful! 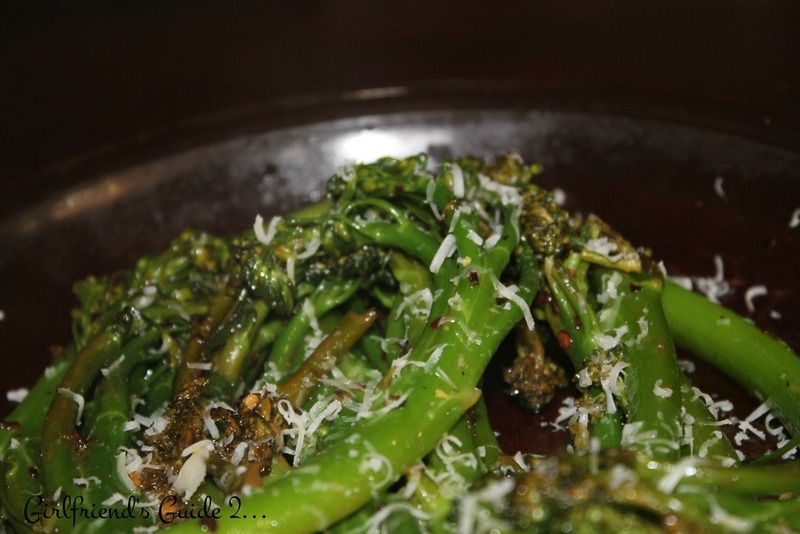 Broccolini is a keeper! 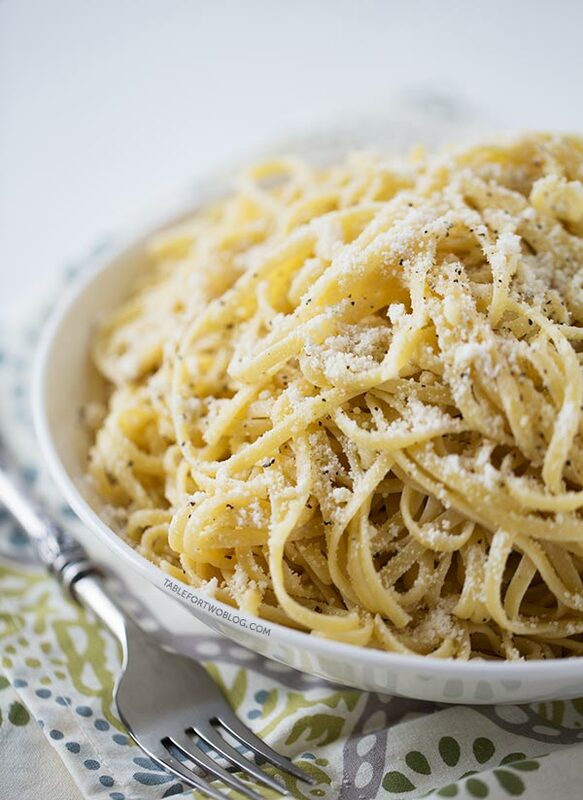 This is the Cacio e Pepe and it is scrumptious! 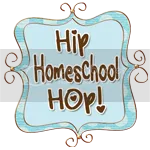 I got the recipe from Table for Two Blog and if you click on the pic it will take you right to it. But it’s so beautifully simple. Boil pasta, drain and toss in melted butter or olive oil with a little salt and pepper and parmesan cheese and maybe even a squeeze or two of lemon. Preheat oven to 350 degrees. 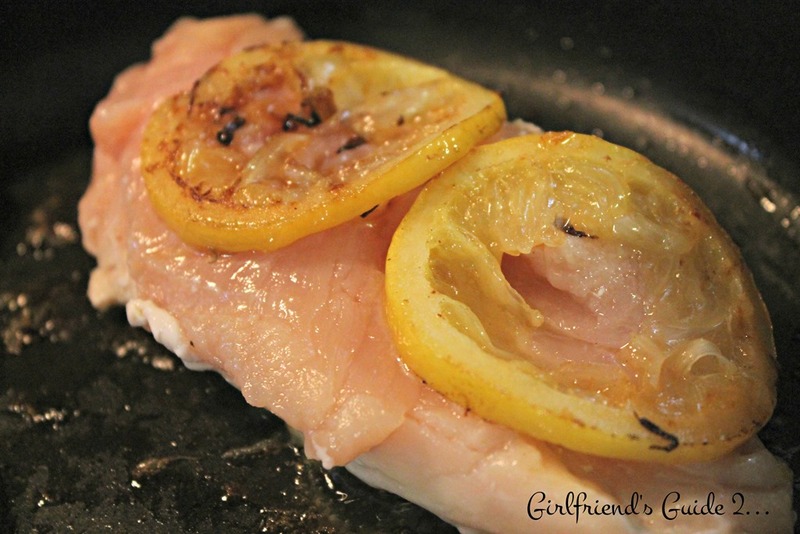 Warm oil in a pan on medium heat with several lemon slices; at least one slice per chicken breast. Heat for at least 10 minutes. 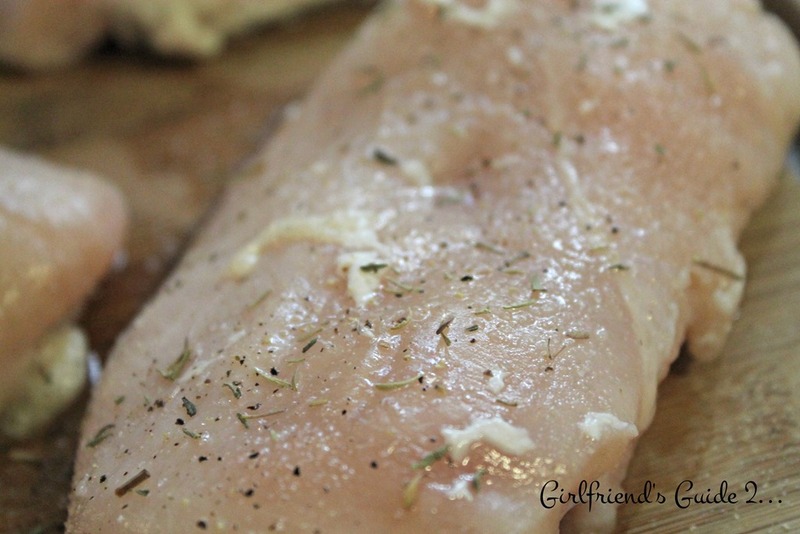 Pat chicken dry and sprinkle with salt, pepper, garlic powder and thyme on both sides. Add chicken to pan and top with lemon slices that are already in the pan. When you flip the chicken, make sure to remove the slices before flipping and place them back on top after flipping. 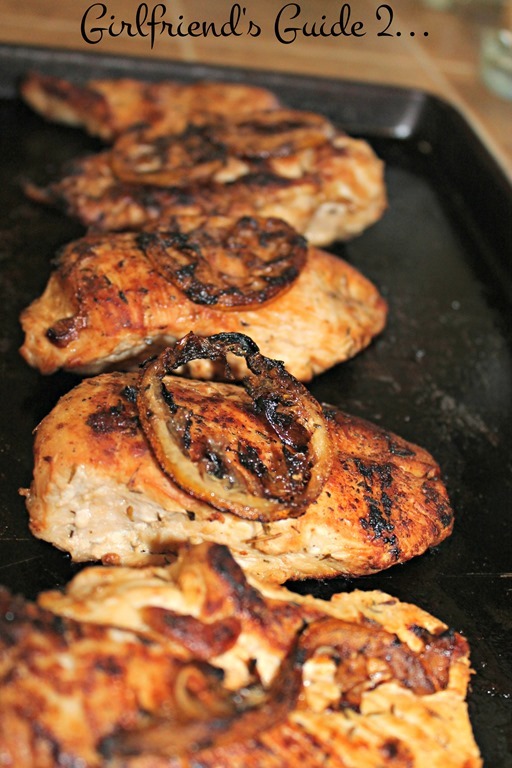 When chicken is brown on both sides, place on a backing sheet with lemons on top. Squeeze some lemon juice over the top and then place in the oven to finish cooking. Cook until temperature reaches 165 degrees or until juices run clear. Allow to rest for a few minutes and then serve. 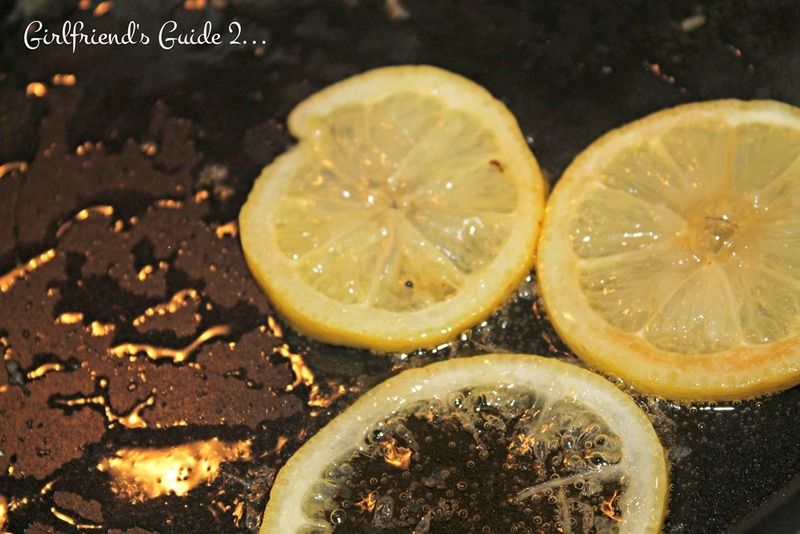 You can even top with more lemon juice when serving. This chicken is great with pasta, rice, potatoes or just about any side. It’s also great in salads or wrapped in a tortilla with lettuce or turned into an elegant sandwich on some crusty bread with baby spinach. You could even make a lemon butter pan sauce by adding a little flour and then chicken stock or cream.